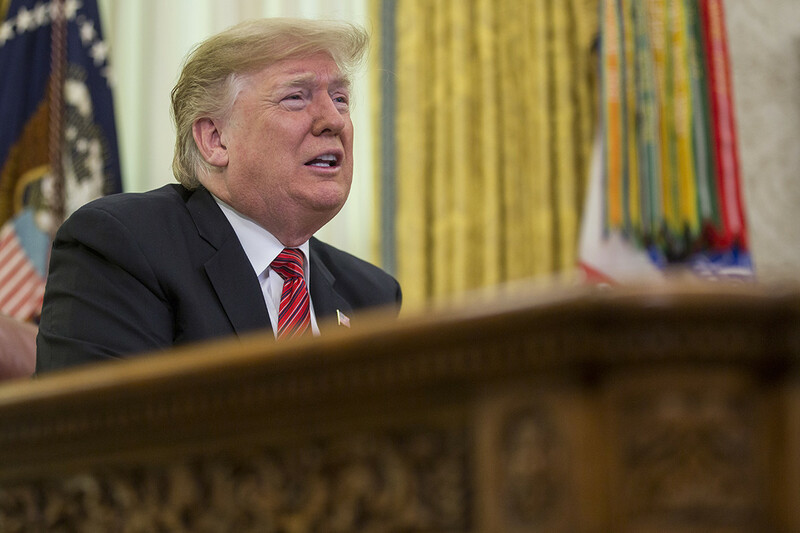 President Donald Trump on Monday demanded Democrats come back to Washington early to approve funding for a wall at the border with Mexico, as a government shutdown over the issue threatens to stretch well into January. “I’m in the Oval Office. Democrats, come back from vacation now and give us the votes necessary for Border Security, including the Wall,” Trump tweeted. Though he said he was in the West Wing, there was no Marine posted outside that section of the White House, the usual indicator that the president is there, according to a pool report. Trump canceled plans to travel to his Mar-a-Lago resort in Florida to stay in Washington over the shutdown. Trump also has pushed back hard on comments from his outgoing chief of staff, John Kelly, who told the Los Angeles Times in an exit interview this weekend that plans for a “solid concrete wall” were dropped early in Trump’s tenure. The wall, one of Trump’s signature and most tangible pledges, is at the center of the ongoing partial government shutdown. Now in its 10th day, the shutdown looks set to stretch well into the new year. Trump hasn’t budged on his demand for wall funding, and congressional Democrats have no interest in providing it. The president’s request that Democrats return from holiday vacation early seems unlikely to go anywhere. Republicans still have unified control of government. Lawmakers will return to Washington later this week, when Democrats will take control of the House. But Democratic leaders appear to be waiting for Trump to offer publicly a government funding deal that differs from his repeated demands for wall money. Trump also contended that Democrats voted to fund a border wall before he became president, which congressional Republicans have also argued during the shutdown. In fact, the Democrats voted for additional fencing at the border in 2006 and for a comprehensive immigration package in 2013 that also included some fencing. The 2013 bill was eventually killed by Republicans.